Our Vision and Values capture in words the spirit of Bardiya Group and what we stand for. The vision and mission form our core philosophy to guide the decisions, actions and behavior of our people. The values inculcated in our brand DNA through the vision are evident in our customers’ experience of the service and drive our performance and growth.Our Vision – We envision our group to be a globally attuned service provider and business house in the sectors of Real Estate, Hospitality, Gemstones and Mining. 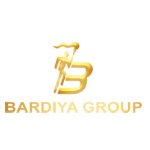 We aim to provide seamless support services and be renowned for our proactive people, our innovative services, and our exemplary results.Our Mission – Bardiya Group is committed towards constantly expanding its horizons and delivering superior service in the most efficient way. The Group bestows a sense of ownership to its customers and is pledged to share benefits with our customers, shareholders and employees. The Group constantly endeavors to earn the continued loyalty of our customers by demonstrating why we are the first choice for quality, service, value and innovation.Profitable Growth – Bardiya Group delivers shareholder value through disciplined and sustainable growth, underpinned by strong governance that leverages to the benefits of our global vision.Constant Focus on Performance and Efficiency – We endeavor to deliver the highest quality and performance, whilst relentlessly driving to be the most efficient provider of varied services at the lowest cost. The Values of Openness; Trust and Integrity – We set the highest ethical and professional standards at all times. We want all our relationships to be based on honesty, respect, fairness and a commitment to open dialogue and transparency.